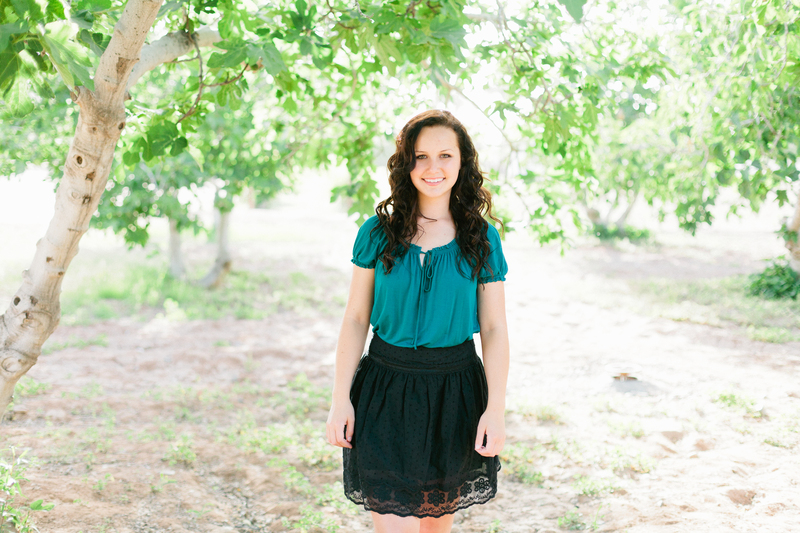 My name is Madison, and I am a student at Arizona State University. I am currently studying Exercise and Wellness (Health Promotion), and plan on getting a minor in Nutrition and Healthy Living. Over the past few years I have developed a passion for a healthy, balanced approach to life. For me, this means eating healthy most of the time, but always making sure that I get my sweet treats when I want them! Things I love: Jesus, my family, my friends, peanut butter, running, chocolate, country music, Oreo cheesecake, stalking reading blogs, hiking, and chapstick. Things I dislike: shin splints, cream cheese, beans (gross! ), public speaking, and anything banana-flavored. My running story began my freshman year of high school. We had to run a mile for volleyball tryouts, and I couldn’t even make it a quarter of a mile without stopping to walk. I believe my finishing time was somewhere in the 16-minute range! Throughout my high school volleyball career, I got better at running, but it was always something that I truly dreaded. After my last volleyball season, I decided I needed something to strive for. I picked up running and completed my first 5k in January of 2013. It was easily one of the best experiences of my life, and a few months later I ran another 5k. 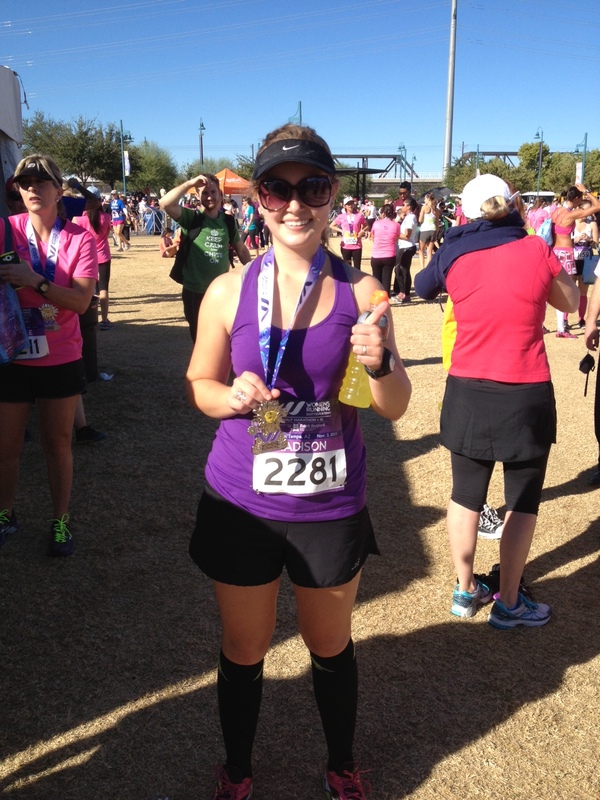 On November 3, 2013, I completed my first half marathon (2:33:04)! It was crazy hard but also incredibly worth it. I see many more half marathons in my future, and (eventually) a full marathon! Running is something that will always be difficult for me, but it challenges me in ways that nothing else can- and I absolutely love it! In June 0f 2014, I decided to start regularly practicing yoga. I wanted to work on my flexibility, balance, and strength…and yoga seemed like the perfect fit! I have already seen a lot of improvements, and I know I will continue to improve as I continue to practice. You’ll likely see me documenting my yoga progress on the blog every Monday! I considered titles for a long time, wondering what I should call my little blog. Two other names that I had considered were “Runner’s Legs” and “Deep-fried and Fabulous.” That second one didn’t seem very appropriate for a blog that’s supposed to have a health theme, but it had a nice ring to it 😉 I ended up settling on “More Than the Miles” because it supports the view that I have taken up over the past few years. There is more to life than just the miles we run, the calories we burn, etc. And this blog is about more than just the miles as well. By choosing this title, I feel that it provides me with a reminder that I don’t need to get a certain mileage in every week to feel worthy, and I don’t have to blog about running all the time. Life is about balance, and I hope that carries over into my blog as well.